Naomi Nakamura: Behind every episode is a story. One might be from a conversation that I've had or a question that I've been asked. Another one might be someone else's story that I feel truly needs to be shared and these are what I call real people stories. Other episodes might come from a need that I see there needs to be a conversation about. And then there are others like last week's episode and this episode that are produced for purely selfish reasons because I wanted to learn more about the topic from my own personal edification. Here's the backstory on today's episode. As regular listeners will know, I have struggled with sleep for many, many years and it has improved. And the struggle with my sleep today looks very different than what it did just a few years ago. Nonetheless, I crave the ability to get a full eight to nine hours of restful sleep and to be able to sleep well past 4:00 AM. Now for years, I have heard people around me rave about the benefits of CBD oil and for some they've said that it's the only thing that helps them sleep. So after years of taking prescriptions like Ambien and Lunesta and supplements that to be quite honest, they just weren't very effective. I decided that, you know what? It is time for me to give CBD oil a shot. So having never tried any cannabis type of products before, I truly knew nothing about how to go about getting it. So a couple of months ago, my friend Katie Leadbetter, who has been a guest on this show in several different episodes. She took me to a local cannabis dispensary to get some CBD oil. And it was quite the experience and ultimately I was presented with a couple of options and in that moment I realized that, you know what? I have the no context as to how to decide which option to choose, whether organic options and if so, what did that even mean? Because as we know in the beauty industry terms like natural and organic really don't hold any weight because those terms haven't been defined. So how are they different here? How are they different in the cannabis industry and are I hear there are some brands that were better known sources than others, and what really is the difference between THC and CBD? These are all the questions that I had swirling around in my mind. Now, since CBD is becoming a more and more accepted mainstream form of treatment for a variety of different conditions, not just to help with sleep, I decided that you know what? It's time to do an episode on this topic. So joining me today is Dr. Hyla Cass and here is her official bio. Dr. Cass is a physician, psychiatrist and frequently quoted expert in the area of natural approaches to mental and physical health. She combines the best of leading edge natural medicine with the modern science and her clinical practice, writings, lectures and nationwide media appearances and in several local and national publications. She helps individuals withdraw from psychiatric medications and substances of abuse or to avoid medications altogether through the use of specific natural supplements including her hemp oil extract. She has created a unique high quality line of nutritional supplements and is the author of several popular books including Supplement Your Prescription, Natural Highs, Eight Weeks to Vibrant Health, the Amazing ADBD Guide to Cannabis which I have read and is an excellent introduction into cannabis, and the Addicted Brain and How to Break Free. She's a well-known international speaker and lectures to the public as well as to her medical colleagues. I was first introduced to Dr Cass's work when she was a guest expert speaker and full body systems, which is the functional nutrition program that I'm a part of at the Functional Nutrition Alliance. And she recently appeared on the 15 Minute Matrix, which is a podcast for a functional nutrition practitioner produced by my teacher Andrea Nakayama who has founded and who runs the Functional Nutrition Alliance. And in that episode she specifically spoke about the health benefits of CBD. So I reached out to her and invited her to be on this show and here we are today. So in this episode you will hear us discuss an integrative approach for getting a good night's sleep. The relationship between Cortisol, which is the stress hormone and sleep, the role and implications of inflammation using CBD for sleep, what the endo cannabinoid system is, THC versus CBD and of course how to source quality CBD oil and figure out what's the right dosage for you. I found this to be an extremely educational discussion that's helped me with my decision making process on how to use and source CBD oil from my own personal use. And I know that it'll help you too. So just one more thing. As always, all the things mentioned in this episode along with some additional resources that Dr. Cass sent to me to share with you can be found over on the show notes at www.livefablife/081 for Episode 081. So with that, let's get to the show. Hi Dr. Cass. Welcome to the show. Dr. Hyla Cass: Oh, pleasure to be here. Naomi Nakamura: Now, my audience may not know who you are, but just to give a brief background of who you are, you are a board certified psychiatrist and expert in the field of integrative medicine, psychiatry and addiction recovery, and you specialize in helping individuals withdraw safely and comfortably from addictive substances including medication with the aid of natural supplements. So as a physician, how did you come to practice integrative medicine? Dr. Hyla Cass: So how I got into integrative medicine is that I just saw the medication's not working so well and actually having a lot of side effects. And more and more I became interested in nutrition and using more natural means to help people feel better. And it really worked and it not only worked for their mind and mood, but it also helped for their stomach pains, their back pain, that food sensitivities and so on. I had a lot of respect for the use of diet and nutrients and as I began studying nutrients even more closely, it became obvious that we're part of nature and that these natural supplements are there to serve us, to help us, to give us what we need biochemically to make our bodies work in the best way possible. Naomi Nakamura: That's so refreshing to hear. I myself went through a number of health challenges where I found that the medications I had been taking were causing other issues and that's how I myself turned to this particular approach. Now, I first heard you on one of my, I guess guest expert interviews in some of my studies and you procedurally gave a lecture on sleep and that's something that I have struggled with for many years and it's a lot better now than what it used to be, but it's a very popular topic with my audience. So I wanted to get your thoughts on what is your integrative approach to help those who struggle with sleep challenges? Dr. Hyla Cass: Well, you need to know what it is, what's going on, why is it that they're not able to sleep? So you do the usual, you want to have a quiet room, don't do a lot of activities before bed, don't go to the gym before you go to bed. Do calming things. Take a warm bath, block blue light in the evening. These are things that I think people at this point may know about. Don't have a TV in your bedroom. Certainly don't have it on, but don't even have a TV in the bedroom. Have a good temperature, right amount of blankets and so on. So, that's that part. And then I also check people's cortisol because if they're running a high cortisol, do distress and just happening at night, then they're not going be able to sleep and we have to get that reversed. So there are number of ways of doing it. So we really want to have a cortisol curve that's higher during the day and comes down in the evening and during the night and then comes back up as you're waking up in the morning. So we have supplements for that as well. I also will use CBD for sleep. CBD is a very useful adjunct for sleep. It works on the endo cannabinoid system, which connects all of the systems and helps balance the neuro transmitters. So it will help calm you down with the serotonin and gaba that it influences 'cause it's not going to, for example, stimulate you with dopamine, but it's going to calm you down. So very useful. Naomi Nakamura: This is something that I think using CBD oil and cannabis for health, I think it's really, become really a more popular conversation in the past few years, especially where I live in California. How did you get into this world of coming to use it for useful supplements in the variety of things that you help people with? Dr. Hyla Cass: Well, I got into CBD, a few years ago I was hearing about it and a friend of mine had written a book on it and encouraged me to read it and I thought, well, that's just an excuse to get high. It was therapeutic. And I'm saying ... by the way, I had written about medical marijuana in my book, Natural Highs many years ago saying that it was a real boon to people and it should be legalized for medicinal purposes. So that was the early 2000s. So I've been around a long time. Nonetheless, when it came to getting high, I'd seen a lot of damage. It's a lot of, there's a lot of issues with people overdoing it. So, that was my thought about CBD until I actually looked into it. And then I realized that it not only is not THC, which gets you high, but it actually can antidote a bad experience with THC and that people who had been doing too much and had gone kind of over the edge, irritable, maybe even aggressive or violent or in some cases psychotic could actually be helped a great deal with CBD because it neutralizes that THC. It blocks it at the receptor. Naomi Nakamura: Can you talk about what the differences are between THC and CBD? Dr. Hyla Cass: Yeah, they're both from the cannabis plant, which has been used by the way the cannabis plant has been used throughout history for thousands of years. Ancient China, ancient Greece, Turkey, you name it. It's been used and used medicinally for the same reasons we're using it now. However, what happened was people were really enjoying the recreational aspect of it and the financial benefits for a growing high THC product. So we ended up, and this was all illegal, let's just say, so there was a lot of high THC cannabis going around and not much interest in CBD. And then CBD, it was realized that people were becoming out of balance with too much THC and CBD from hemp, which contains 0.3% or less of THC actually was found to have most of the benefits if not all of the benefits of THC, but without that high and a lot of people just don't want to get high. I don't like the feeling of ... it's not that I don't like to feel good, but for me THC has made me feel kind of dow and uncomfortable. and a lot of people report that so it's really good to have CBD, just plain CBD. Even with 0.3% you're probably not going to notice it. But the CBD that I formulated, I actually have it as zero THC because of people's sensitivities. The other thing is it's not likely to show up on a drug test, but THC can accumulate in the system, accumulate in the fat, and there is a possibility if you use a lot of 0.3% CBD that you really could have a positive drug test and if that's an issue for you at work or somehow in your life, you need to be aware of that. Dr. Hyla Cass: Oh, my. Dr. Hyla Cass: I am so glad. So glad we're having this discussion. Naomi Nakamura: I've never used cannabis in any way, but I really believed and heard about how well CBD oil can help with sleep. And I've had a cousin use it and he told me, he's like, you can't even just use more than one drop because it will really knock you out. So I went there and I didn't know what to ask for and I was given options to choose from. I didn't know when it comes to our food and other things, I'm very particular about how things are sourced and eating organic and I didn't know is it the same, does it apply the same thing here and I imagine it does. So can you talk more about like what's the specific qualifications do you consider for someone who is just the casual person looking to find good reputable sources for CBD oil to use in this way? Dr. Hyla Cass: Don't get it in a dispensary because they don't sell 0.3% and lower CBD. Dr. Hyla Cass: They only the product that has THC in it and in higher amounts and you're going to pay more for it as well. Dr. Hyla Cass: I'll cut to the chase. Dr. Hyla Cass: You can get CBD oil online, you can get it in health food store, you get the drug store, it's everywhere. You don't have to go to a dispensary, you do have to know your brands. Did you know that you could get it outside of a dispensary? Naomi Nakamura: So the option that ended up getting it was an 18:1 ratio and I didn't even know what that meant. And I was having a conversation with my acupuncturist and she said, "I think that might have too much THC for you." And so I got a brand from her that I've been using, which I think is a little bit more effective for me. But again, I just, I have no context. And so what to compare it to or what to ask? Dr. Hyla Cass: Yeah, really. So what she gave you probably was just CBD with no THC, correct? Dr. Hyla Cass: Okay. And did it work? Naomi Nakamura: It's helping, having more restful sleep. There's still some other challenges there where my body just naturally wakes up at 4:00 AM every day that I'm still trying to figure out. But other than that, the rest of my sleep is very peaceful. Dr. Hyla Cass: Okay. So you have a good brand, you have to make sure that you're getting a reputable brand. I had been buying the ones that sell to physicians or brands on the market that do that and sell through physician dispense, not dispensaries like cannabis dispensaries but dispensary's for supplements. More doctors can order them and they've been very carefully screened. So you know that they're pure and clean. You want to know that you can get a certificate of analysis, which tells you that what's in it, it really is in it, and how many of the different cannabinoids are in it and turpines, which ... and you might be surprised it's not just CBD in that product that would be an isolate and an isolate is not very good. It's like taking a single nutrients as opposed to, you know how you take the whole herb in the whole plant is more healing like St Johns Wart. The hypericum may be the marker, but you want to have the whole plant because it has other synergistic compounds in it. By the same token with CBD, you want to have all the other cannabinoids that are in that particular plant as well as the turpines because they all have different medicinal effects and work synergistically together. So, that's what you'll see on a certificate of analysis. You'll also see if there are any toxics in it, such as heavy metals, pesticides, herbicides and so on. So all the things that shouldn't be in there as well. And then you want to look at dose size. Now, I ended up formulating my own because I wanted a particular concentration flavor, quality base oil that I couldn't find exactly to my specs. So nothing like having it done for you. So I had a manufacturer put together one that's in coconut oil, hemp oil. They have a lemon flavor and ty and [inaudible 00:17:48] in which is good for inflammation. So people prefer the lemon flavor to the kind of heavy grassy flavor that you get in most CBDs 'cause that's the first thing you have to like the taste. So it's a lighter oil it's an MCT coconut oil that is light. It absorbs easily under the tongue. And as I said, the lemon flavor is quite yummy and you can get that on my website. Go to cassmd.com cassmd/hempoil, one word, hemp oil. And by the way, I call it hemp oil extract. I don't call it CBD because it's actually a full spectrum hemp oil extract. Was CBD is really just referring to that one cannabinoid. Dr. Hyla Cass: It's the major one, but it's not the only one. And you want to have the other ingredients. Naomi Nakamura: Thanks for clarifying that because I wasn't sure what the differences were with that. Dr. Hyla Cass: Right. And you might want to know what it's used for. I mean in my practice, I'm a psychiatrist, so I use it for anxiety, depression, post traumatic stress disorder, traumatic brain injury, dementia. And it's not a cure all and nothing is ever a cure all but it has amazing anti inflammatory effects and all of these problems have a large inflammatory component as soon as those diabetes and cardiovascular disease. So you're actually treating a lot of inflammation in your body with one product. So instead of having side effects, you're going to have side benefits. You may be taking it for anxiety and your shoulder pain goes away. I've had this happen a lot, you know, people just feel so much better in so many ways because it's dealing with the endo cannabinoid system. It's stimulating the endo cannabinoid system, which is the master communicator or master regulator of everything, of hormones, the immune system, the digestive system, neurotransmitter's. It speaks the language of the body. It even talks to the micro biome and it helps in the gut brain connection, which actually happens through the Vegas nerve. So it's very, very tightly involved in everything in the body. And we didn't even know about it until 1992. 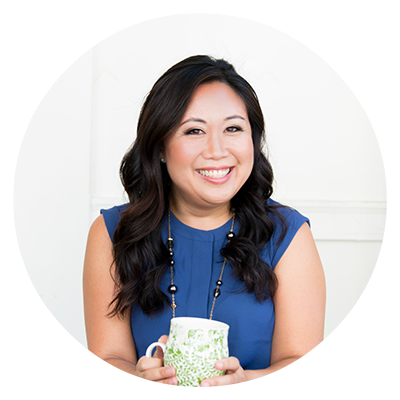 Naomi Nakamura: I was going to say it's just sounds like this just amazing resource that can help so many different things when there's so much dysfunction going on in the body. Dr. Hyla Cass: Absolutely, and we need all the help we can get because so many people are so I don't, wow. Naomi Nakamura: From so many different ways. Dr. Hyla Cass: Things aren't working. Naomi Nakamura: They aren't. Now there's a lot of different products out there. There's oils, there's choose. I know that my own chiropractor's sells different creams that have CBD properties in them. Do you have any preferences or go to's or recommended I guess types of or how to take them? Dr. Hyla Cass: It really depends and it also, the dose forms is important. You want to have a bottle that contains 500 milligrams or a bottle that contains a thousand milligrams or 1500 milligrams because how much is in the bottle isn't going to determine how much is in each dropper or each milliliter each serving. So, that's another little piece of information that you need. I do explain it on my website so that people can understand just what they're getting with each dropper. I happen to carry the 500 milligram and the 1500 milligram in oils and that's good for fast application. You feel a headache coming on, you have an acute pain, you want it to act quickly. You just put it under your tongue and within a few minutes you should be feeling getting it to last a few hours. You have the capsules. I happened to have 25 milligram capsules and what I do is for people who already know their dose and they know they're going to need it throughout the day, take a dose first thing in the morning and then during the day you can titrate as needed with the droppers so you really can decide on your own and you know you're not going to know your dose. You're not going to know your dose just by reading the label on the bottle. Your dose is going to be very individual because your endo cannabinoid system is very individual. Some people's are very low. Some people, they're very high. In fact, when you have a low endo cannabinoid system, you tend to be sensitive, scared, maybe even phobic. That's a sign of a low endo cannabinoid system as opposed to a high one, which we in which you're resilient, you can take things on, you can interact with the world more readily. So that's not happening if you're in that other arena of being fearful and timid, and for example, when group was afraid to make speeches, they were given hemp oil extract and lo and behold, they were able to give speeches and they were fine. They did as well as the people who were totally not having problems with it. So, you really have to dose it individually. Naomi Nakamura: How would one go about figuring out what is the proper dose]? Dr. Hyla Cass: You start with the lowest dose, which is, it could even be a few drops if you're a little nervous and just add a few drops and see how that goes. And probably like a half a dropper is, I'd say get a 500 milligram, take a half a dropper and see how you are in about 15 minutes. And if nothing has happened, you take the rest of the dropper and wait another 15 minutes, 20 minutes, and then if you still don't notice anything, take a little more. Some people are fine on one milliliter of 500 milligram, which is, well, it depends on the size of the bottle. I'm going to get you into some math confusion here, but some people will do well on one dropper. Some people need four droppers a day. Some people need six droppers a day. It's so relative and it's not due to weight resize. It really just has to do with how your endo cannabinoid system is behaving and whether it needs some reinforcements. Naomi Nakamura: I'm so fascinated by this because even in all of my studies and I've studied a lot of things from the wellness perspective for a few years and I really haven't heard anybody speak on the endo cannabinoid system in great detail. So my curiosity is really peaked and I wanted to go learn more about this. But you have a book and this is how I really came to learn about you and your take on cannabis and it's your amazing itty bitty guide to cannabis, 15 Steps to Understanding the Many Benefits of the Cannabis Plant. So it really encouraged people to go and get it. It's available on Amazon. It's a quick read, but I found it really insightful. Dr. Hyla Cass: Oh, I'm so glad. And that would help you to determine the difference between CBD and THC because that book, I did it with a coauthor and she was the THC person. I was a CBD person. So you can really get the information that you probably didn't have going in. Naomi Nakamura: Yeah. You talked specifically about different strains and how they can help and the differences between them. So like I said, it was great for someone who's just, you know, I don't know a lot about this, but I want to see how it can help me. And this is, I found that a great way to just get started. Dr. Hyla Cass: Oh good. Thank you so much. By the way, I also have a newsletter that's just general nutrition. All the things that I do often to do with the brain and it's free and you can sign up on my website and get a free ebook called Reclaim your Brain, which talks about neurotransmitters and how we can affect them by taking very specific supplements. Naomi Nakamura: I want to have a link to that over on my show notes. I personally am very fascinated to dive more into the whole gut brain connection through the vegas nerve. We've talked a little bit about it on the podcast. I've had a couple of people on who do specialize in working, especially with kids and other people who have really dived into that and have seen results in our personal life. So definitely encourage people to sign up for that. Dr. Hyla Cass: Well, thank you. Naomi Nakamura: Well, thank you so much for your time. I want to be respectful of your time, but I really appreciate it 'cause I feel like this is some really good tactical information that people can take away, that they can now have resources to go to dive more into it. But you've provided a lot of great context for us and just helping to make decisions about how do I go about trying this for myself. Dr. Hyla Cass: Oh, I'm so glad and you can find out more also on my cassmd.com/hempoil page and I'm adding more all the time. Well, thank you so much. I appreciate it. You're welcome. Thanks for the opportunity and I wish you really wish you well with this podcast because you're doing a really wonderful service. Naomi Nakamura: If you enjoyed this episode, it would mean the world to me. If you would subscribe to this podcast, write a review or even share it with someone who you know would enjoy it too. In the meantime, you can find the show notes for this episode and all other episodes over at my website at www.livefablife.com. There you can submit a question to the answer right here on the show. Sign up for weekly updates, insider access, and get behind the scenes scoops and learn how we can work together too. Most importantly, thank you so much for being here and I can't wait to connect with you again on the next episode of the show. See you next week.